Over the course of two weeks in November, students at every campus were assigned a food item to donate to help fill the Thanksgiving dinner baskets as a part of a district wide service-learning project. 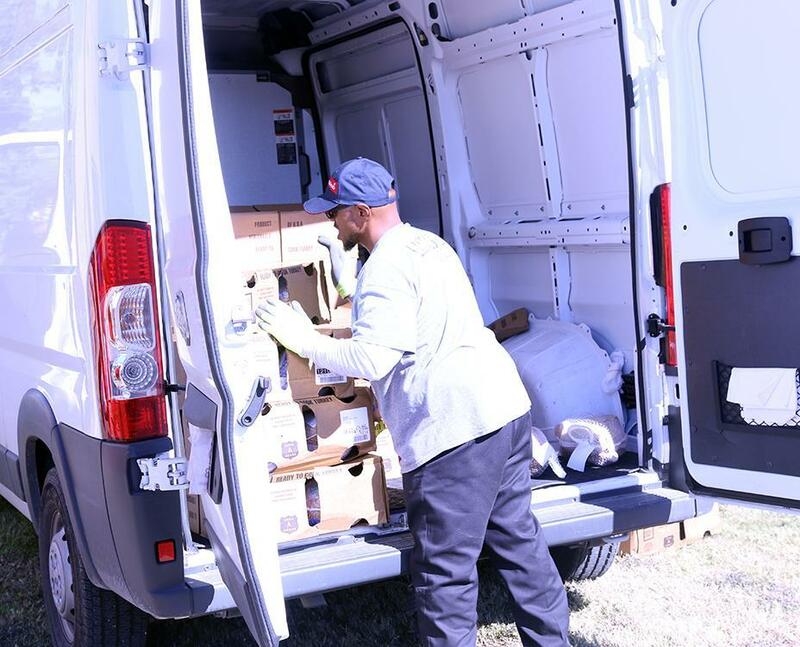 The goal of the project was to collect enough donated food to feed 200 families in their community this year. 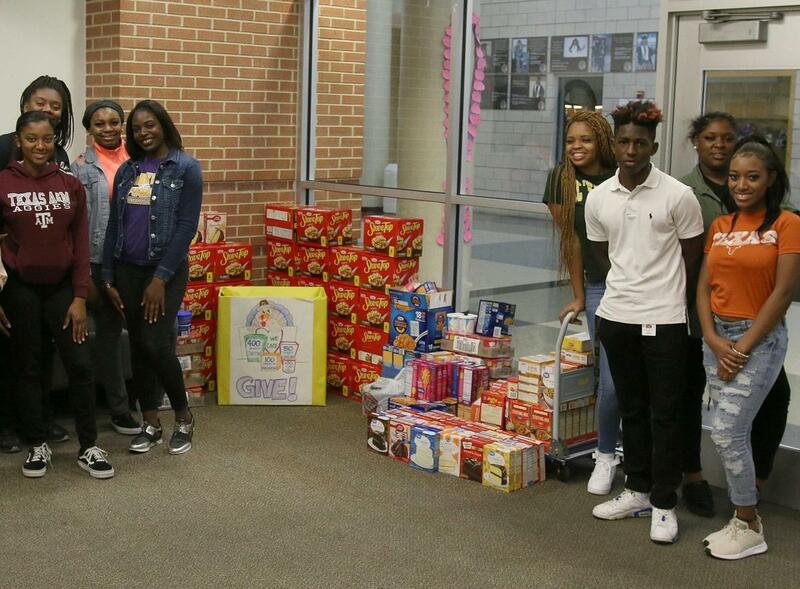 Just as Lancaster ISD students left for their Thanksgiving holiday week, the students carried an extra sense of pride knowing that they collectively donated enough food to feed 200 families in their community this year. Over the course of two weeks in November, students at every campus were assigned a food item to donate to help fill the Thanksgiving dinner baskets as a part of a district wide service-learning project. Most campuses quickly met and some even exceeded their collection goals. 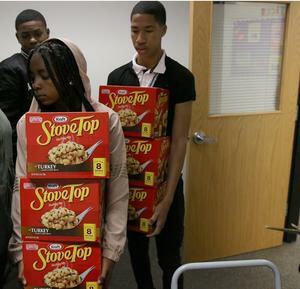 Lancaster High School students were tasked with collecting 400 boxes of stuffing amongst other items. Rolling Hills Elementary collected over 1100 cans of green beans. Other campuses donations included cranberry sauce, cream of chicken soup, cake mix, icing, corn, macaroni and mashed potatoes. Each basket also included a turkey to complete the meal. Rolling Hills Principal Cherish Pipkins was overjoyed with her campus’ support of the project. 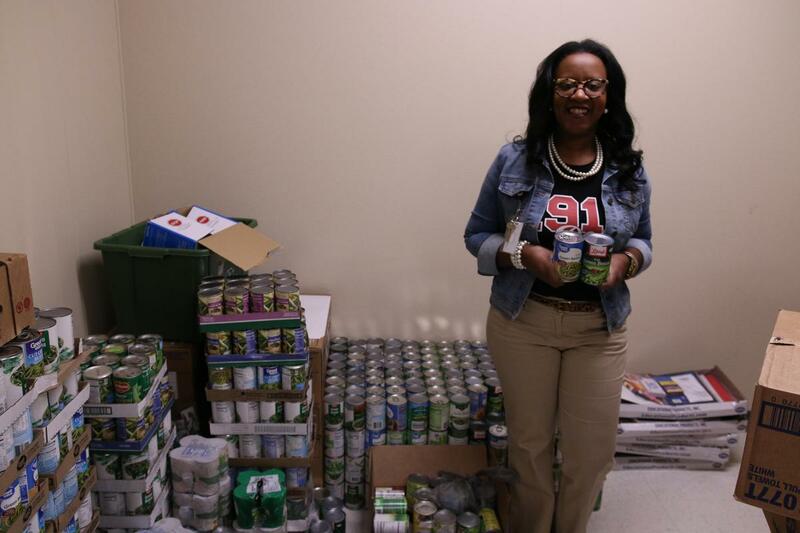 “It gave me chills to see how eager students and parents were to bring in can after can of green beans,” Pipkins said. Lancaster ISD Director of Family and Student Outreach Services Lisa Hill said that this project taught students to serve others. She further stated that the students really cared about the cause for which they were collecting. 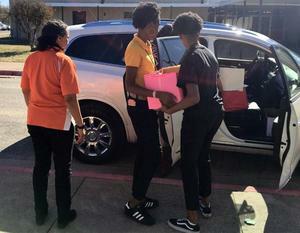 Each November, Lancaster ISD students participate in a district-wide service learning initiative which reiterates the concepts of service to others above self. This year, it was a project that directly helped to feed and support the needs of some of their peers and their families. Upon collection of the items, members of the Sister 2 Sister student mentoring organization decorated the boxes and some even helped with distribution to the 200 families on Friday. Hairston’s younger sister, Gabrielle, an Elsie Robertson Lancaster Middle School seventh grader, saw the opportunity to serve the families from a different perspective. “It was a joy to see the smiles on people faces. It was also a reminder to be grateful for all I have and what my parents provide,” Gabrielle said.